"Wit ought to be a glorious treat like caviar; never spread it about like marmalade." - Noël Coward. 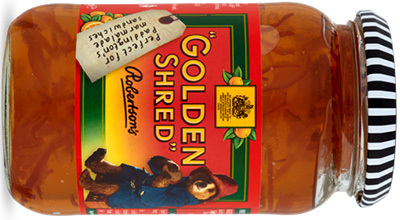 "Marmalade in the morning has the same effect on taste buds that a cold shower has on the body." - Jeanine Larmoth. MARMALADE is a fruit preserve made from the juice and peel of citrus fruits boiled with sugar and water. It can be produced from kumquats, lemons, limes, grapefruits, mandarins, sweet oranges, bergamots and other citrus fruits, or any combination thereof. 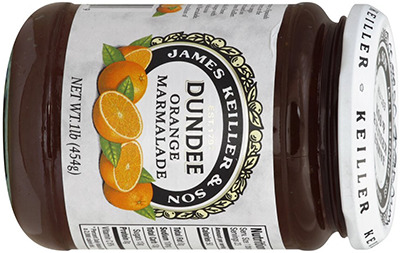 Marmalade is generally distinguished from jam by its fruit peel. It may also be distinguished from jam by the fruits used. JAM typically contains both the juice and flesh of a fruit or vegetable, although some cookbooks define it as a cooked and jelled puree. The term "jam" refers to a product made of whole fruit cut into pieces or crushed then heated with water and sugar to activate its pectin before being put into containers: "Jams are usually made from pulp and juice of one fruit, rather than a combination of several fruits. Berries and other small fruits are most frequently used, though larger fruits such as apricots, peaches, or plums cut into small pieces or crushed are also used for jams. Good jam has a soft even consistency without distinct pieces of fruit, a bright color, a good fruit flavor and a semi-jellied texture that is easy to spread but has no free liquid." – Berolzheimer R (ed) et al. (1959). Jam is an interesting condiment because its neither a solid or a liquid. It can contain chunks of fruit which are solids, but if let out of the refrigerator the juicy bit becomes a liquid. Also jam moves to fit a container, which is one of the properties of a liquid. ENGLISH JAM AT AMAZON.COM'S GROCERY & GOURMET FOOD - 324 results as of January 17, 2018. FORTNUM & MASON - since 1707. 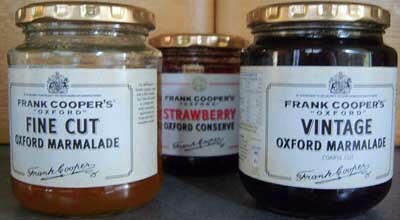 Traditional English marmalades. "Marmalade is the backbone of the British breakfast table, and has long been a favourite at Fortnum's. 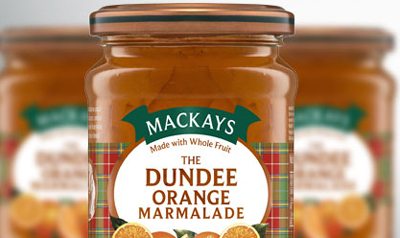 Our considerable collection of marmalades includes every variety one could wish for. 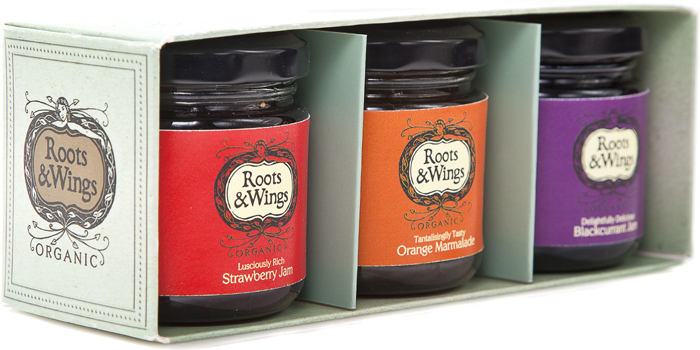 Every marmalade is made by hand in small batches in the traditional manner to ensure a superb breakfast experience." Ritz Paris Gourmet - Jams.